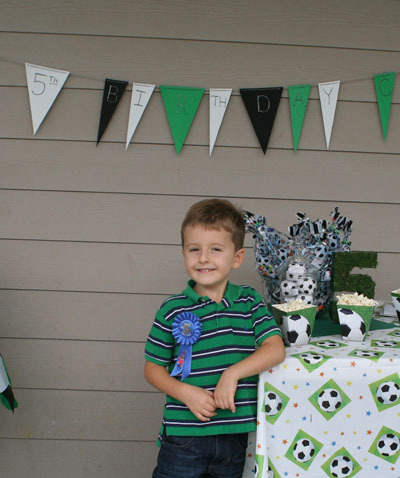 Book a birthday party at North County Soccer Park! 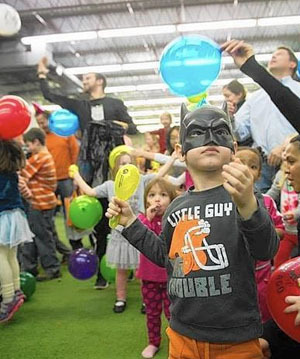 North County Soccer Park Birthday Parties! 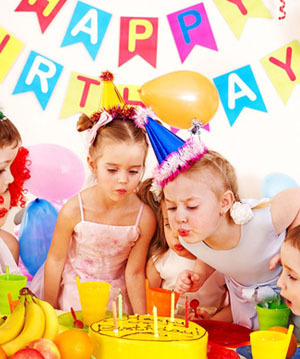 HAVE YOUR CHILD’S BIRTHDAY PARTY AT THE NORTH COUNTY SOCCER PARK! We offer you an hour of soccer play on one of our indoor fields (your choice). Soccer balls and practice vests are included to differentiate teams for scrimmaging/playing soccer. Afterwards, you can move the party into our back party room to eat, open presents, and celebrate. 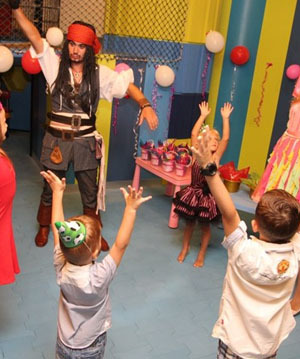 The parties here are meant to be fun, low cost, and personal. Call NCSP at 858-748-4260 for field availability. One hour of play on the stadium field and two hours in the back room: $90 Minimum charge of 15 kids, with $6 per additional child. One hour of play on the mini field and two hours in the back room: $60 Minimum charge of 10 kids, with $6 per additional child. All birthday participants must bring a signed NCSP invitation/waiver with them in order to play on the field. Siblings who want to participate are encouraged but a waiver for them is required and they would add to the party’s final head count. Adult participation is encouraged too (no charge) but adults must sign a waiver as well. Adult waivers are available at NCSP’s front desk. What to expect when you’re expecting to party! You may request a game referee for your party for an additional $20. You may also request a Lil’ Kickers Coach for an additional $40 per Coach (one Coach required for each 8 children). Bring whatever you would like to decorate and go crazy! Visit http://www.kidssoccerworld.com for all your soccer party supplies. They have a huge supply of soccer party cups, plates, napkins, tablecloths, favors, and decorations! You also supply whatever food you’d like — pizza is the most popular, but it’s usually up to the Birthday Boy or Birthday Girl to choose! Come Play, Eat, and Celebrate at NCSP! *Note: No food or drinks are provided. Decorations for the party room are not provided by NCSP.